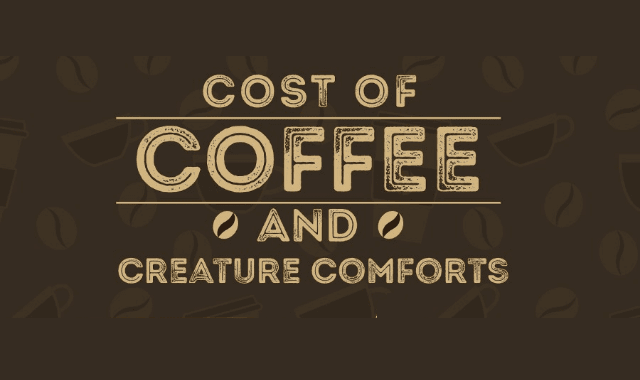 Cost Of Coffee And Creature Comforts #Infographic ~ Visualistan '+g+"
Sometimes, when looking at our bank accounts at the end of the week, we clap our hands to our foreheads and wonder what we spend money on. Scrolling through to find one big purchase, we usually only find instead a long line of very small purchases. That’s the power of impulse buying: the few purchases here and there that can really add up.